Walk up the marble stairs to the second floor of Knight Library and you’ll find a light-filled room lined with floor-to-ceiling bookshelves. The room exudes scholarly charm—and it’s whisper-quiet. This is the Paulson Reading Room, point of entry for the University of Oregon’s Special Collections and University Archives (SCUA). Scholars and researchers from near and far come here to access thousands of remarkable collections that include rare books, manuscripts and letters (including Oregon Trail diaries and letters from pioneers), personal papers, photographs, film and television archives, architectural drawings, and more—in fact, more than a million items. 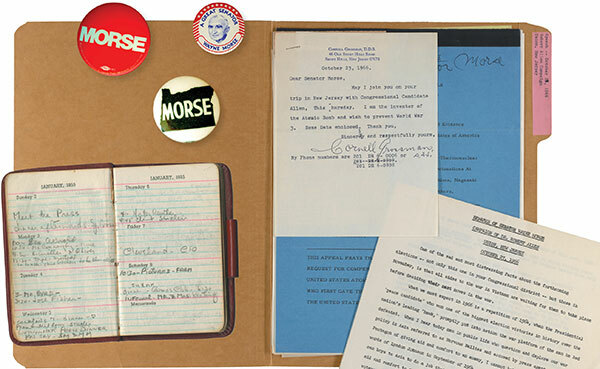 Some of the best-known collections include the papers of Ken Kesey, Bill Bowerman, Wayne Morse, and Ursula K. Le Guin. You’ll also find the original art for the classic children’s book Mike Mulligan and His Steam Shovel, first published in 1939. Edward S. Curtis fans can access a rare set of the photographer’s monumental project, The North American Indian, printed on rice paper. 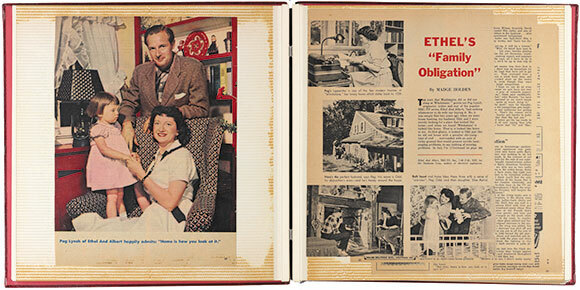 Some of the collections are rather obscure, such as memorabilia from the life of Mayo Methot Bogart, a child actress who later became the third wife of Humphrey Bogart, and a collection of theater programs compiled by Nettie Prescott in Boston, Portland, and Tacoma between 1884 and 1890. Ever wonder how reindeer came to Alaska? Peruse the papers of William Thomas Lopp, who in 1892 brought a herd from Siberia in an effort to help native whalers and fishermen establish an alternative means of subsistence. The collections belong to the people of Oregon and are available for members of the public to view or study at no cost. So silence your cell phone, pull a chair up to one of the Paulson Reading Room’s long, wood tables, and join us for a look at some of the lesser-known collections housed in this very special part of the UO campus. In the US, we associate the practice of trading illustrated cards with sports, Pokémon, or perhaps the game Magic: The Gathering. These sturdy paper cards have been part of our culture for about 100 years. 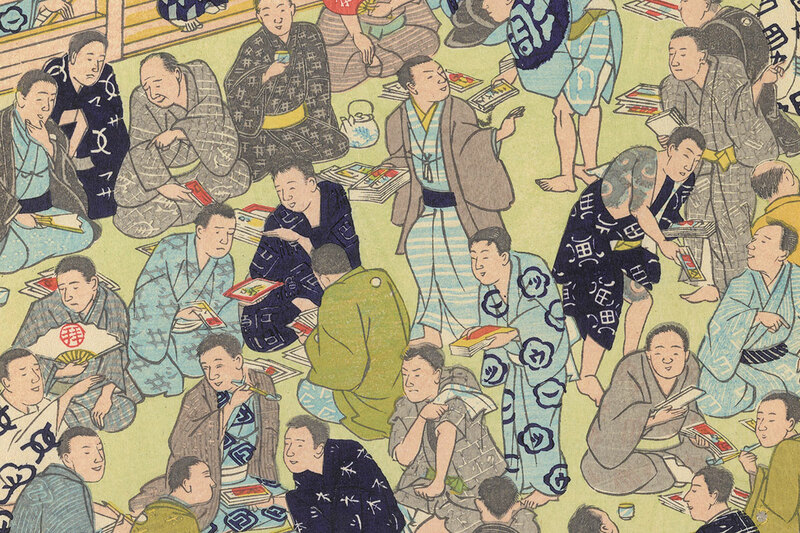 But in Japan, people were trading elaborate woodcut-printed cards in the 18th century. The cards, called nōsatsu, had their beginnings in 900 AD, when devotees carried paper “visiting cards” when they made pilgrimages. They pasted the cards on the walls of each temple they visited to show their devotion. By the late 1700s, the cards (which bore their owners’ names and addresses) had become very popular. Devotees not only pasted them on temple walls, but also exchanged them with others. They competed to see how many temples they could adorn with their slips, and how far they could get from home. But as the temple walls became plastered with paper, the resident monks expressed their disapproval and the practice began to fade. The cards were revived in the mid-19th century, however, when groups formed to collect and exchange them. They evolved from simple black-and-white images to prints created by famous artists, including Hokusai and Hiroshige. 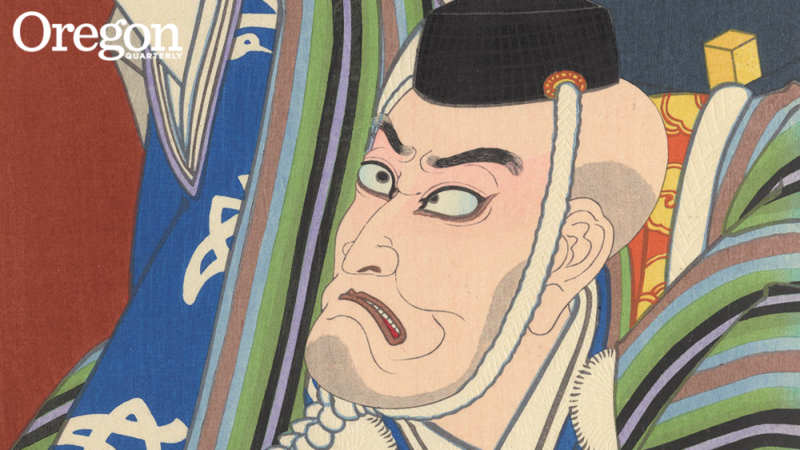 The tradition of woodblock printing declined in the late 19th century when Japan became more westernized, and the practice of exchanging nōsatsu died again. But after a few decades, the card exchanges were revived once more. The motifs became more topical: for instance, after a big earthquake, people traded cards that showed how their lives were affected. Starr’s collection was later bought by art enthusiast Gertrude Bass Warner, founder of the University of Oregon Museum of Art (now the Jordan Schnitzer Museum of Art). The prints came to the university when Warner donated her collection of Chinese and Japanese art to the university in 1921. UO Libraries has recently digitized and catalogued the Gertrude Bass Warner Collection of Japanese Votive Slips (Nōsatsu), with the aim of providing wider access to this rare treasure. In the early 1970s, Grayson Layne Mathews spent two years on the highways and back roads of the American West, documenting the lifestyles of professional rodeo cowboys. 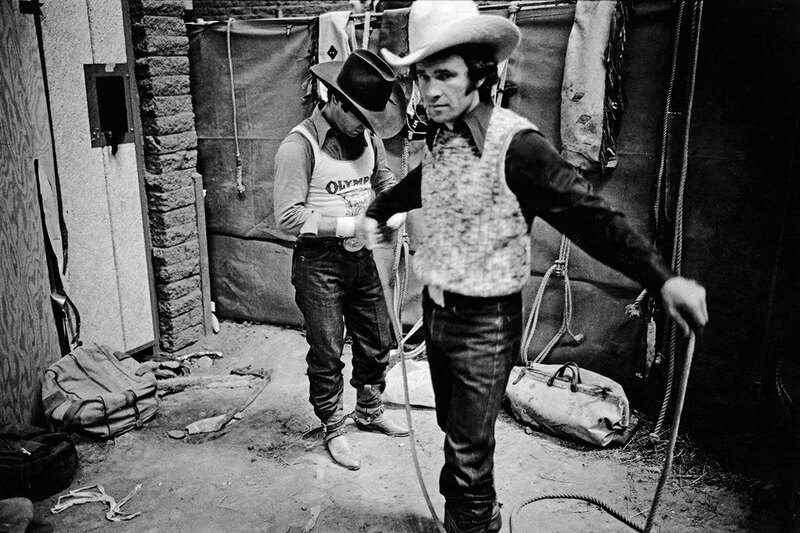 With his Leica and Nikon F cameras loaded with the fastest black-and-white film available at the time, he photographed cowboys and rodeo clowns in dusty, sunbaked, outdoor arenas and smoky, dimly lit auditoriums. He also took time to document their lives away from the competition, at the bars, cafes, and motels where they lived their lives on the road. Mathews died in 2007 at the age of 58. In his memory, his family donated his archive, which includes darkroom and digital prints and negatives, to SCUA. One of the most intriguing people represented in the university’s nationally known collection of feminist science fiction writers is James Tiptree Jr., who won three Nebula Awards and two Hugo Awards between 1973 and 1977. Tiptree kept up a lively correspondence with fellow writers Ursula K. Le Guin, Harlan Ellison, Robert Silverberg, and Joanna Russ, but strangely, none of these friends ever actually met him or spoke to him in person. Over the years, Tiptree dropped hints about growing up in Chicago, traveling to colonial Africa, serving in World War II, and working for the CIA. In 1976, he revealed that his mother, Mary Hastings Bradley, had died. After checking the obituaries, his fellow writers discovered that the elusive Tiptree must, in fact, be Alice Bradley Sheldon, Mary Bradley’s only child. She wrote as a man because it gave her a chance to write outside the boundaries that confined women authors at the time, and to explore gender, self-image, alienation, and sexuality. The SCUA collection includes Tiptree’s correspondence, photographs, manuscripts, and memorabilia. Wayne Morse, dean of the UO law school, was the youngest law school dean in the country in 1930. In 1944, he successfully ran for the US Senate, serving from 1945 to 1969. He was a member of the Labor and Welfare Committee, Armed Services Committee, and Foreign Relations Committee, and served as a delegate to the United Nations. In 1952, in protest of Dwight Eisenhower’s selection of Richard Nixon as his running mate, Morse split from the Republican Party and sat in a chair in the middle of the Senate aisle to emphasize his independence. In 1955, he joined the Democrats and became an outspoken opponent of the Vietnam War. His career in the Senate ended when Robert Packwood defeated him in the 1968 election. SCUA’s collection contains senatorial papers from 1944 to 1968, research material, arbitration decisions, speeches, financial material, mementos, and personal and general correspondence that relate to this fascinating Oregonian whose vision of peace and justice through law and politics is carried on at the Wayne Morse Center for Law and Politics, housed in the UO School of Law. You may never have heard of Peg Lynch, but without her, you might never have watched a TV sitcom. The creator of Ethel and Albert, a clever radio and television series about a married couple’s daily life, Lynch is widely credited with inventing the form. She was the first woman to write, star in, and own her own comedy series and wrote a total of nearly 11,000 scripts for radio and television. The library has her typewriter, original scripts for Ethel and Albert, correspondence, and photographs, all donated by Lynch and her daughter, Astrid King. SCUA is also the repository for the kinescopes (recordings made from the screen on the back of the TV camera) that were made from her shows.